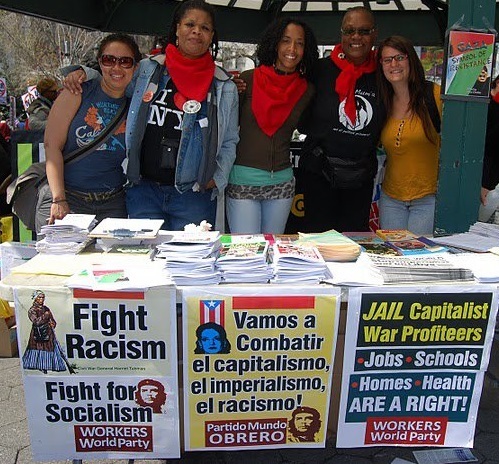 San Diego — Workers World Party hosted a “Free All Political Prisoners” forum at the Brown Building, a space for activists in the City Heights community here on Dec. 9. 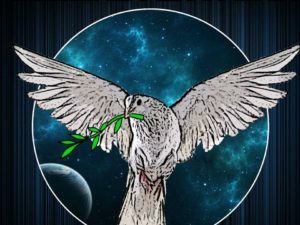 This meeting was called to pay tribute to Long Distance Revolutionary Mumia Abu-Jamal on the 36th anniversary of his arrest on that date in 1981. A slide presentation showed faces of political prisoners, most of them members of the Black Panther Party (BPP) and the Black Liberation Army (BLA); some have been locked up for over 40 years. Community activist Mickey Smith opened with a welcome and invited everyone to sign a card with a message of revolutionary love and greetings to Mumia Abu-Jamal. 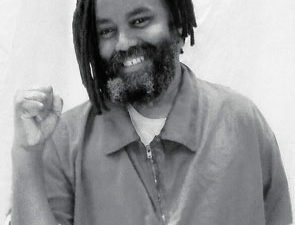 Smith emphasized that the movement to free Mumia is a movement for justice for all political prisoners. After a brief update on the case of Mumia, we watched a recorded video presentation by Sekou Abdullah Odinga, a former political prisoner released after 34 years in prison. Odinga explained why it is important to support political prisoners. Updates were given on political prisoners Leonard Peltier of the American Indian Movement (AIM), locked up since 1977, and Russell Maroon Shoats, BPP/ BLA, locked up since 1972. 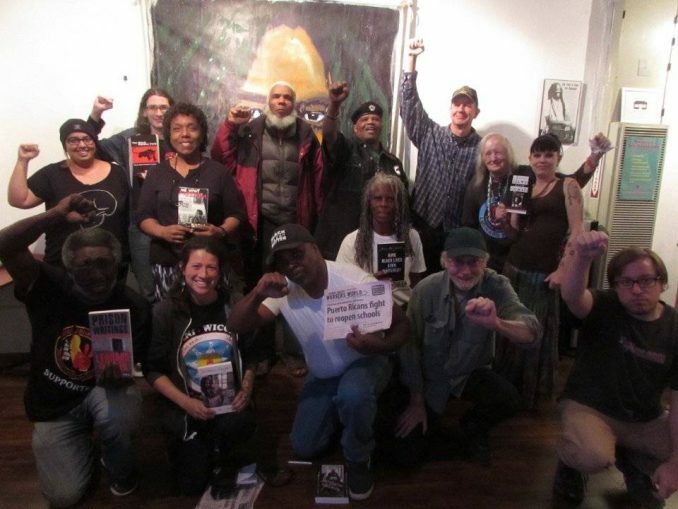 Representatives from the Leonard Peltier Defense Committee, the San Diego Coalition to Free Mumia, the Committee Against Police Brutality (CAPB), and the San Diego Black Panther Party (SD-BPP) were present. Patrick Germany, an Amity substance-abuse counselor and member SD-BPP, and Curtis Howard, San Diego native and former inmate in the California Department of Corrections, were guest speakers. Howard spoke about his first book, “Cell Mates & Cell Outs,” in which he tells what it is really like to be in prison. It is not what you see on TV, Howard explains, “for one thing, there is no smoking allowed in California prisons and as far as weight lifting, CDC banned weights over 20 years ago.” Howard is a motivational speaker and his book is currently being studied at high schools and universities. In closing, we listened to a “Message of Love” from Mumia. 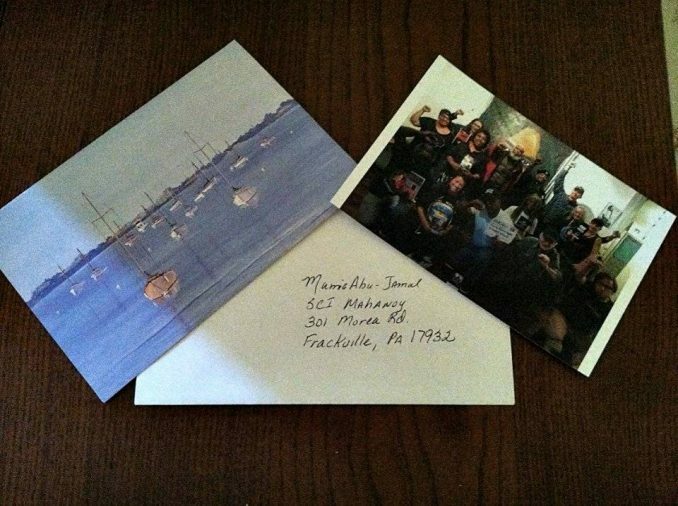 The photo in front of the Mumia banner donated to CAPB by artist Mario Torero in 1997 will be sent to Mumia along with a message of revolutionary greetings and love.